Many people believe Culatello and Prosciutto Crudo to be the same thing. While it is true that there are similarities - they’re both DOP, from Parma, made with pork - the big difference lies in the cuts used during production. Many people believe Culatello and Prosciutto Crudo to be the same thing. While it is true that there are similarities – they’re both DOP, from Parma, made with pork – the big difference lies in the cuts used during production! Although both products are crafted using adult swine (Large White Landrace and Duroc), born and raised in the north central part of Italy, Culatello is made using nothing but the thigh muscles, whereas Prosciutto maintains small portions of fat and rind, other than the bone giving it its typical shape. Prosciutto is then treated by adding sea salt, resulting in a loss of 4% of its weight, as the salt is absorbed and moisture released. On the other hand, Culatello is treated with a mixture of salt, garlic and pepper. 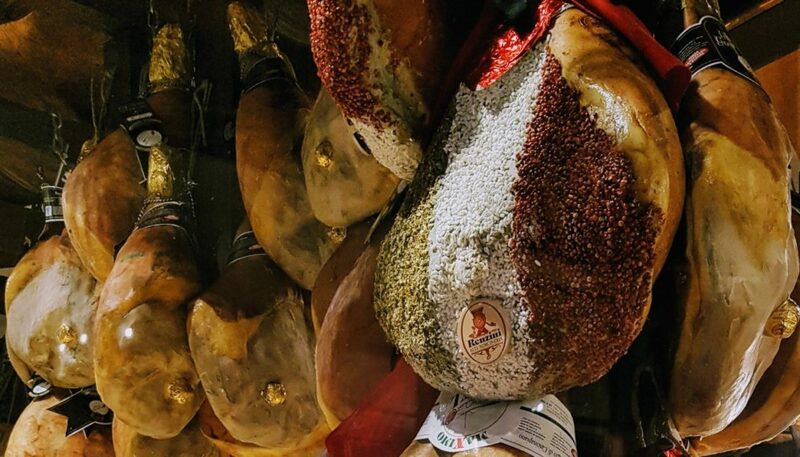 Both Prosciutto and Culatello are from Parma, but the latter is produced between November and February in the region closer to the river Po, whereas Prosciutto’s birthplace is on the hills between Emilia and the Apennine. The climate to which they’re exposed also plays a fundamental role in differentiating the two, especially during the seasoning lasting at least twelve months. During this period, Prosciutto is strictly monitored and refrigerated while Culatello remains exposed to natural light and humidity. Lastly, Culatello is refined so to obtain its traditional “pear shape” and wrapped in bladder which officially makes it an “insaccato”. The same cannot be said for Prosciutto that is only covered in rind. 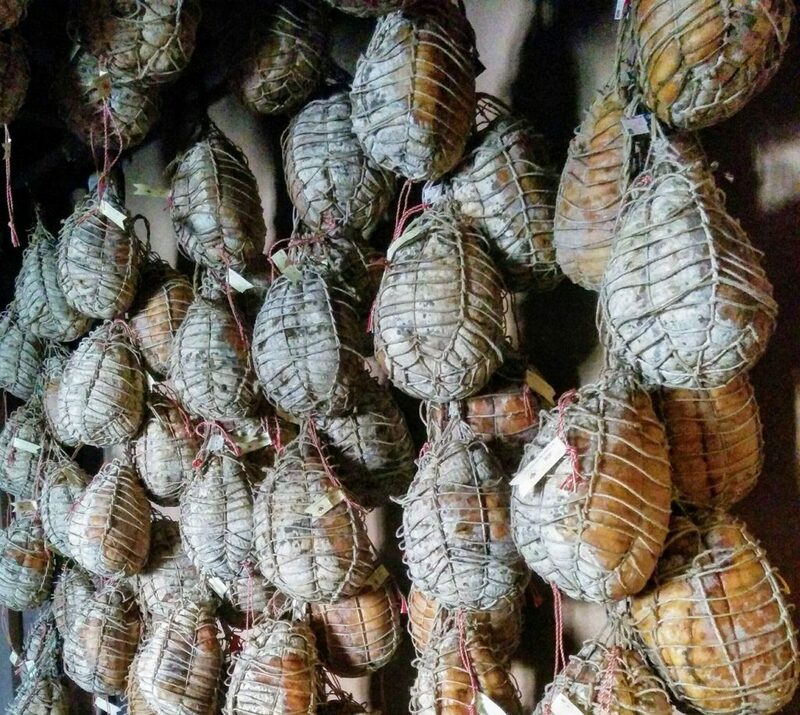 Culatello can’t be anywhere below three kilos, while Prosciutto has to be at least seven. The former is considered one of the finest Italian cured meats, costing more than seventy euros per kilo, whereas Prosciutto tends to be a more common product usually sold for eighteen euros per kilo. Really, it’s a matter of personal taste most of the time, and you can get a pricier but more flavored product if the seasoning exceeds the minimum twelve months. However, if you come on our food tour you’ll have the chance to try different cuts, so you can choose the one you prefer and bring it back home with you as a souvenir!